Former Clinton campaign manager John Podesta weighed in on Friday's indictment of 12 Russian intelligence officers for hacking offenses during the 2016 presidential election. “Donald Trump likes to describe this as a witch hunt," Podesta told ABC News' George Stephanopoulos. "Well, we just found some witches, and they were indicted." 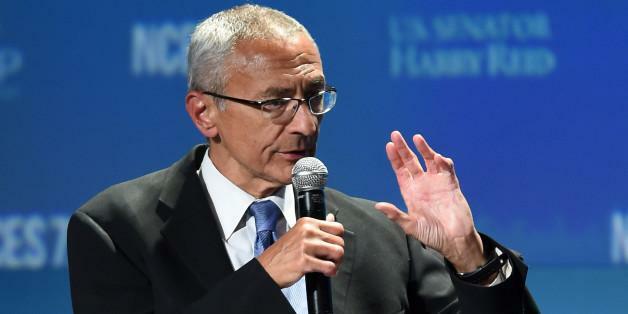 Podesta's personal Gmail account was hacked in March 2016 after he fell victim to a phishing scam, while Julian Assange told Fox News last January that "Podesta gave out that his password was the word 'password'." On Friday, Podesta said he couldn't say whether or not the hack was responsible for Hillary Clinton's loss in the 2016 election - though Friday's indictment explicitly states that the hacking did not alter the outcome of the race. “When an election is so close, it’s hard to put your finger on any one particular issue, but clearly this had some impact," Podesta said. Meanwhile, according to Bloomberg's Jennifer Jacobs - the White House has no plans to cancel the upcoming summit between President Trump and Russian president Vladimir Putin, with press secretary Sarah Sanders exclaiming "IT'S ON."